When the owner of the locally owned P. Terry’s Burger Stand decided to open a second location of his popular Austin restaurant he chose the old Hill-Bert’s Burgers location on Lamar. 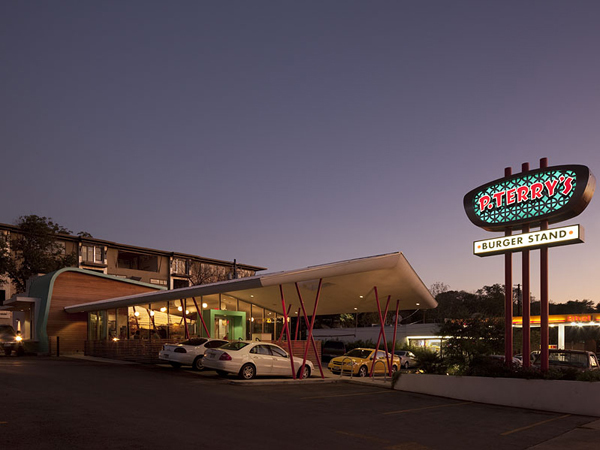 Although the original building was demolished, the architect’s design for the new restaurant incorporated some of the Googie elements of the previous building. 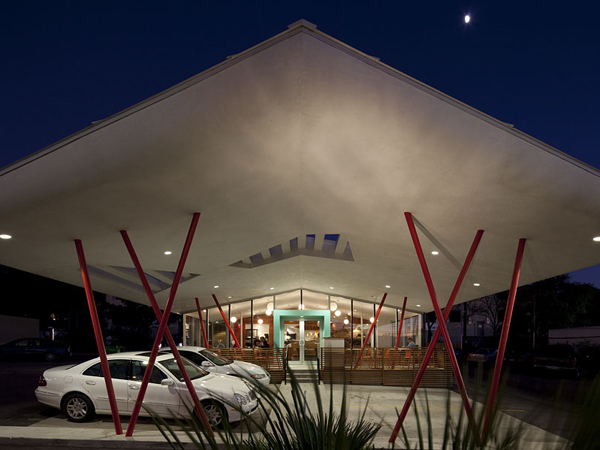 Googie architecture is a form of modern architecture that originated in Southern California in the late 1940s. Influenced by car culture and the Space and Atomic Ages. Common architectural features include upswept roofs, curvaceous, geometric shapes, and bold use of glass, steel and neon. 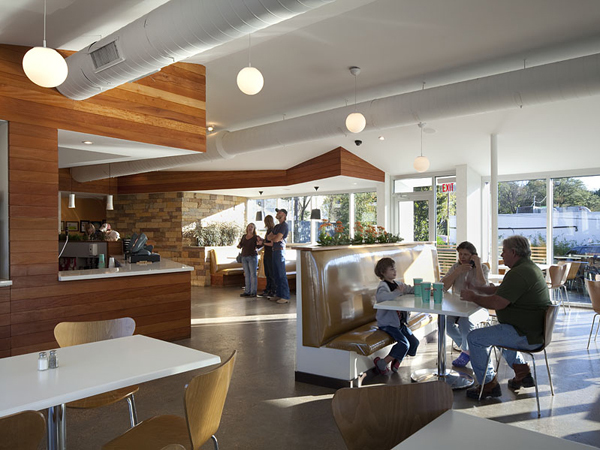 The influence of the Googie style is apparent in the dining and car port structure and in some of the interior finishes.